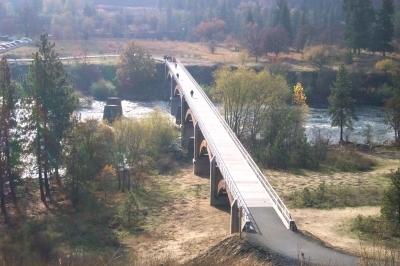 The Spokane Centennial Trail comprises 37 miles of natural beauty following the historic Spokane River from the Idaho state line to Nine Mile Falls, WA. The Trail has something for everyone. Walk or run, bike or in-line skate, or simply enjoy nature. Location: Through greater Spokane on both shores of river. 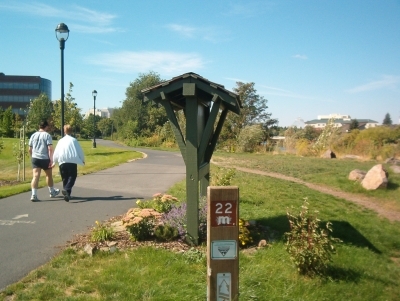 west end at exit 229, east at Sontag Park trailhead. Along the Spokane River starting at Idaho State Line off I-90, exit 299. 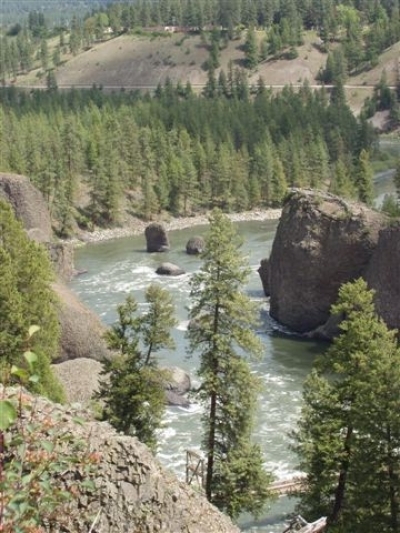 The Trail runs mostly by the river for 37 miles to Nine Mile Falls, WA. 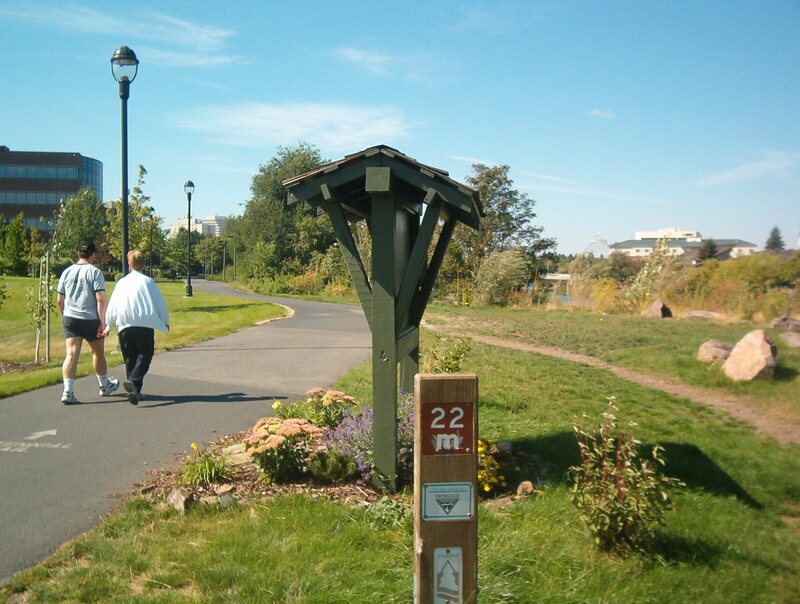 There are many trail access points and 14 trailheads. 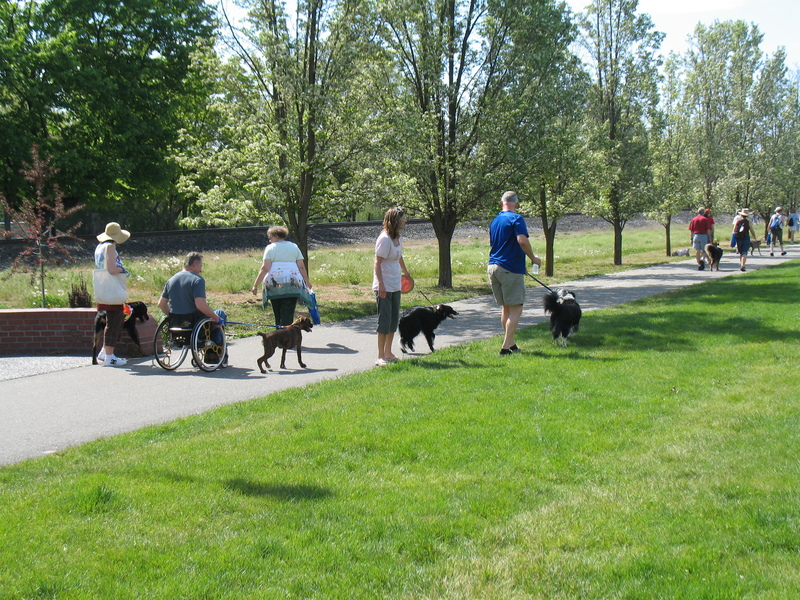 Designed for use by people of all ages and physical capabilities, the Trail is fully paved, so it is ADA accessible. It is used for commuting to both work and pleasure, and wildlife observation. With its metropolitan center section in downtown Spokane, the Centennial Trail branches out to more rural west and east endpoints, reaching into Idaho, for a total of 61 miles. 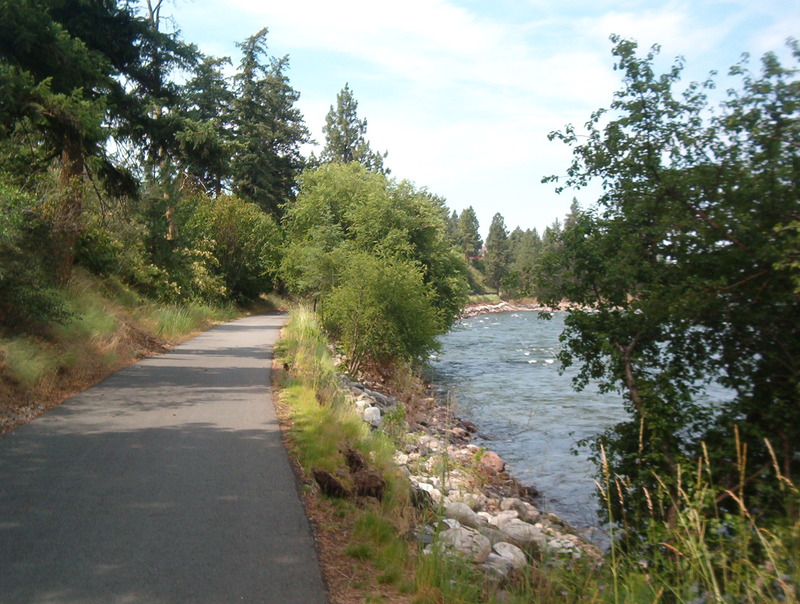 It mostly follows the contours of the Spokane River and joins up with Lake Coeur d'Alene, Idaho, connecting along the way with the Liberty Lake Trail, Plantes Ferry Link Trail, and Cheney-Fish Lake Trail. There are over 2 million uses per year on the Trail. It is not only a free resource for the community, but a destination location. 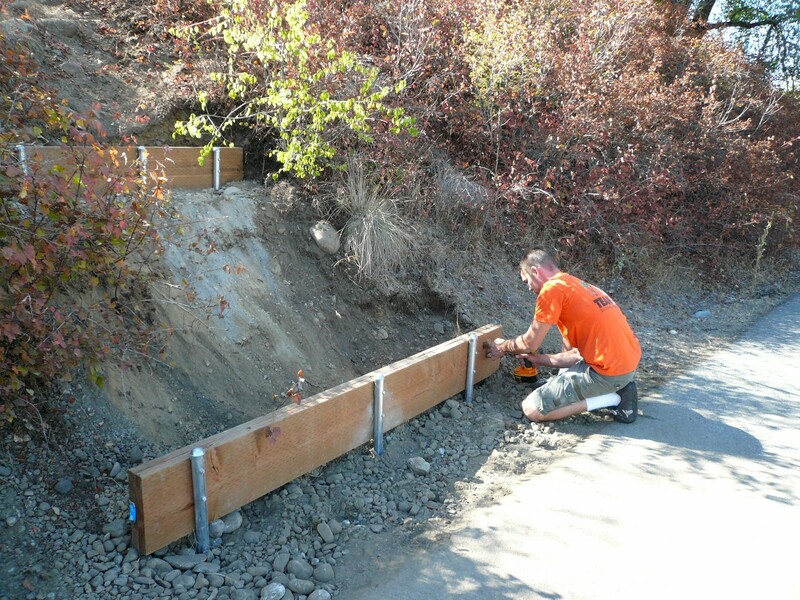 The Trail provides a great venue for family events, youth involvement such as school planting projects and Boy Scouts helping with the annual Unveil the Trail clean up, and fundraising by nonprofit groups. 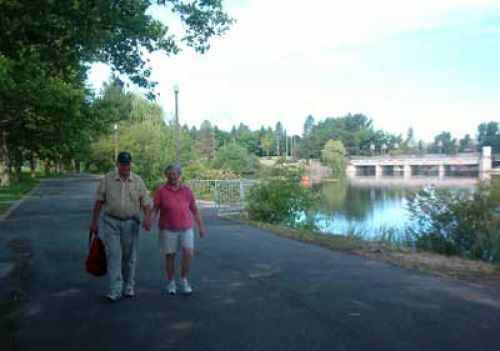 In 1979, Spokane County Parks proposed a bicycle/pedestrian pathway along the Spokane River. In 1984, the Spokane Valley Chamber of Commerce formed a Parks and Recreation Committee to explore this recreational possibility. In 1986, this group proposed a 10.5-mile recreational trail in the valley, naming it a Centennial Trail to coincide with Washington State's 100th birthday in 1989. In 1987, the internationally recognized architectural team, Jones & Jones, was selected to develop a master plan for the Centennial Trail. Downtown area. Photo by Chris Guidotti. Sandifur Memorial Bridge. Photo by Chris Guidotti. Tails on the Trail. Photo by Chris Guidotti. View from military cemetery. Photo by Chris Guidotti. Spokane Valley Area - Baker Road. Photo by Chris Guidotti. Home Depot project on the trail. Photo by Chris Guidotti.